Why: Ruth is the force behind Peter, but Eli is now behind Alicia. 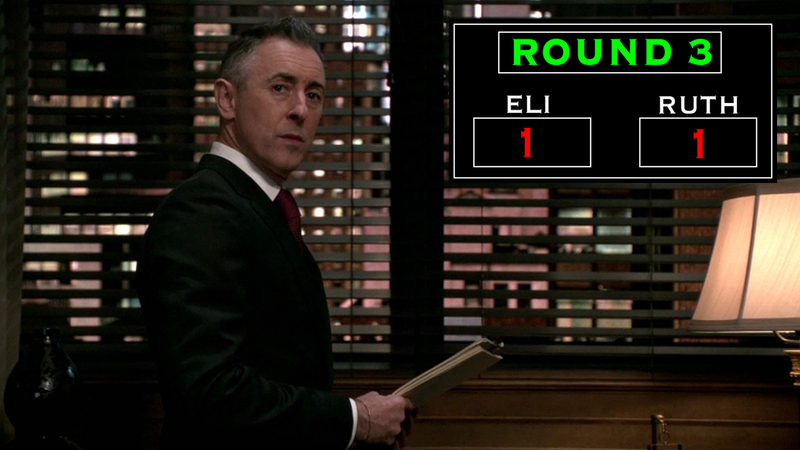 After her conversation with Alicia Florrick, Ruth went to Eli's office to tell him to step down as her chief of staff. When he refused, she upped the ante by threatening to have Peter Florrick amend her contract to stipulate that she would be the one to choose Alicia’s chief of staff.